Distributed Computing: What is it and What is it Used For? A trend we hear about now and again, mainly in relation to some rather large mathematical projects is ‘distributed computing’. Distributed computing is when you take a large task and break it down into many small parts and have an entire bank of computers working on the project instead of just one. This allows for a project to be completed faster, using the processing power of many computers which are in the bank that is working on the project. Simply put, distributed computing is a way to take a task that would take one computer million years to complete, and instead hand it to a million computers, thus making the task obtainable. What types of tasks are completed in this way? The user can often download the software from that site, and set it up on their system. 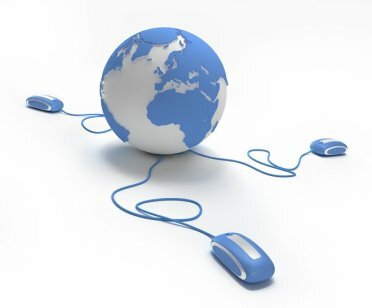 From there, the program will proceed to use the computers downtime (that is, the time that the user is not making use of the system and when the system itself is not doing any related tasks, like updating) in order to complete the tasks necessary for the project, often just using the processing power itself if not doing the actual task on the user’s system itself. RELATED: Endurance International Buying Arvixe - Will Quality Still Be Maintained? Now, before you go and think that this is a project and a program that has little real world use and is essentially the creation of a bored MIT student, you need to understand that this form of computing is actually being funded by some of the nation’s largest science foundations while it works on tasks, such as predicting Protein folding and the finding of prime numbers. In fact, just this past month (October 2011), a PrimeGrid computer and user found the largest generalized Fermat prime number which is 361658^262144+1. Now, this may mean nothing to you, however, it means the world to mathematicians and to those in many sciences that go into protecting our world. Seti@Home (Seti at home) was the first significant voluntary, public distributed computing and was popularized by the movie version of Carl Sagan’s fiction book, ‘Contact’. Now, thousands of people are adding their computers downtime energies towards the worthy goal of searching for Extraterrestrial Intelligence. Aside from the goal of observing and reporting on possible intelligence outside of earth, the second goal of the project is to prove the viability of volunteer distributed computing. This second task they have managed admirably. Many, many projects have moved onward to become distributed volunteer projects and the information gathered from these projects are being analyzed every day and new conclusions about everything from science and health issues to mathematics and interstellar discoveries are being made. While this sort of computing bears a passing resemblance to cloud computing and indeed has been misunderstood as such by men, they are not the same. Although, with the power of banks of computers behind a single project, or even that of several super computers, even then, we have a formidable force that we need to take rather seriously. While these sorts of projects did not become really implemented until the early 2000’s (2004 was the beginning of the BIONC project), we do believe that we will see this taken as a more serious way of solving processing power issues, especially at the governmental and defense levels. 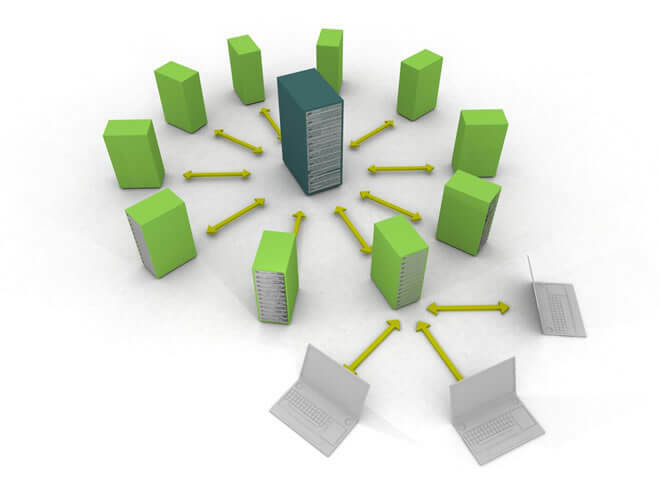 The development of distributed computer networking has led to a fascinating and highly controversial development, Peer to Peer sharing. Now, of course, like with all things, it all depends on how you use the thing; there are legal and illegal ways, always. Breaking copyright laws by sharing copyrighted material with your friends and other network sharing folks would be one example of illegal usage. However, there are many private research projects that have been using this architecture over the past few years and have found it to be useful as well as expedient in their project process. As far as governmental use goes, it has become well known that most computer nodes that are in use spend 90% of their time in “downtime”, which means that they are not being used as effectively as they could be. By making use of a distributed computing system network, they will take that time and make it useful again by assigning large tasks that may take one computer many hours or days to complete and dealing with the task overnight. It also allows for governments to create peer to peer sharing networks to assist them in sharing information on a hierarchical pattern, thus keeping the security of the system intact and making sure that the information needed is available to those who have access to it, while keeping it away from those who have no need. In conclusion, the process of distributed computing and the entire field, including distributed programming and volunteer computing projects, will be seeing a renewed interest as processor power on the retail level rises and more users become interested in becoming part of something bigger than themselves. It has been found that those with an interest in the sciences are more likely to become users of the BIONC software and take an interest in a particular project. It is a time and energy saving option for all flavors of users. It is also a method that will make the best possible use of downtime from your computers, increasing efficiency. As more and more agencies make use of the very customizable option for their interests, we believe that we will see an increase in scientific and health related answers.